Vervet Dance presents "In the Light," a semi-composed durational music and dance performance lasting from sunrise to sunset directed by Loren Groenendaal. 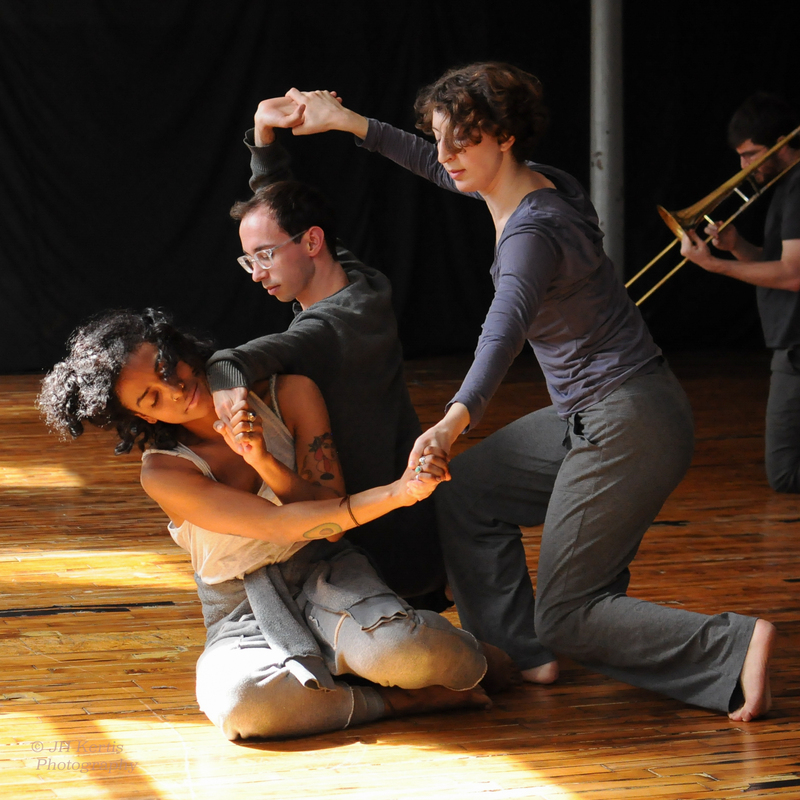 Each season a large ensemble of skilled improvisers fill the space and the daylight hours with movement and acoustic sounds. The Summer edition of In the Light will be a 15 hour durational work on Saturday, June 16 from 5:31am to 8:31pm at The Iron Factory located in Kensington at 118 Fontain Street, 3rd Floor, Philadelphia, PA 19122. The audience is invited to arrive at any time and come and go throughout the performance. Vervet Dance’s In the Light expands the duration of a typical performance into an astonishing length allowing for a deep exploration of rhythm within ourselves, nature, and our community. This long-form composition from sunrise to sunset is directed by Loren Groenendaal and broadens our senses of art, time, and humanity. The ensemble builds the composition from improvised movement and sound, enlisting repeating and patterned forms while recognizing there is no true repetition, shifting gradually and dramatically. While moving and sounding with breath, sensation, and awareness, the performers are composing in the moment and discovering new artistic territory. Powered by humans and the sun, the music is acoustic, the dancing is live, and the lighting "design" is by the sky. The cast is only aware of time passing by their own experience and noticing the changes in the sunlight; they rest and eat when their bodies desire. Unlike most performances, the resting is not hidden from the audience as the ensemble is encouraged to rest in the performance area creating a radical aesthetic that values action and recuperation. The audience may arrive, leave, and even return at any time in our day-long performance. Artists for In the Light include Alpha_Alpha, Sean Thomas Boyt, Erica Corbo, Michael Bradford Forbes, Loren Groenendaal, Curt Haworth, Jen Kertis-Veit, Katherine Kiefer Stark, Eliot Klein, Margot Electra Steinberg, Schuyler Thum, and Mauri Walton.